Welcome to night four of simple suppers! Tonight is going to be a wonderful chance to use up our leftovers in the house. So grab those goodies out of your fridge now, look at that you just made some space again. I don’t know about you, but in my house that is something to be happy about. 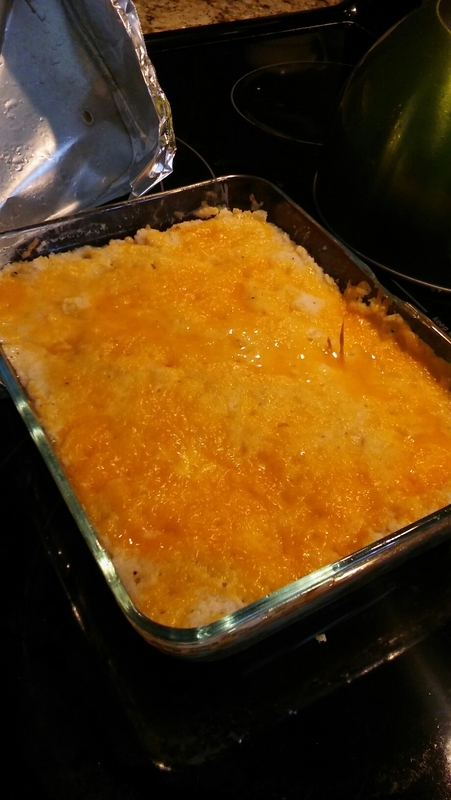 Anyway, for tonight we will be using those leftovers to make a simple Sheperd’s Pie. This is a super simple way to make a meal on the fly. Plus by having cooked parts of it ahead of time tonight all you will have to do is construct it, put it in the oven and eat it up. 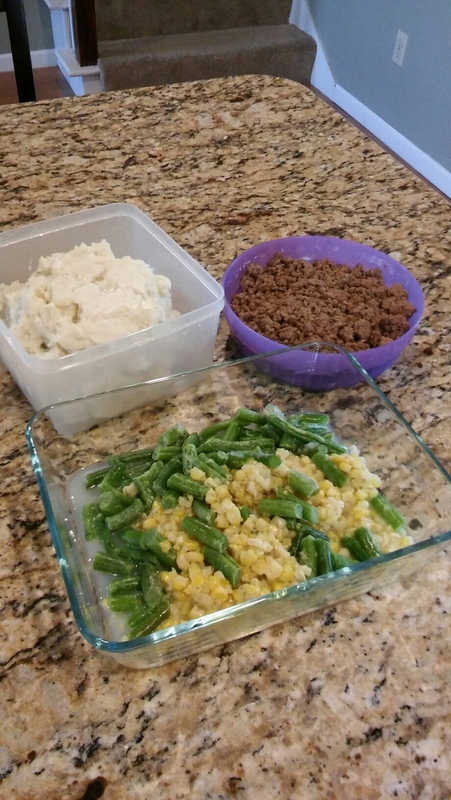 So let’s get started, taking your leftover hamburger, peas, green beans and mashed potatoes set them on the counter until you are ready to use them. Pre-heat your over to 350 degrees. 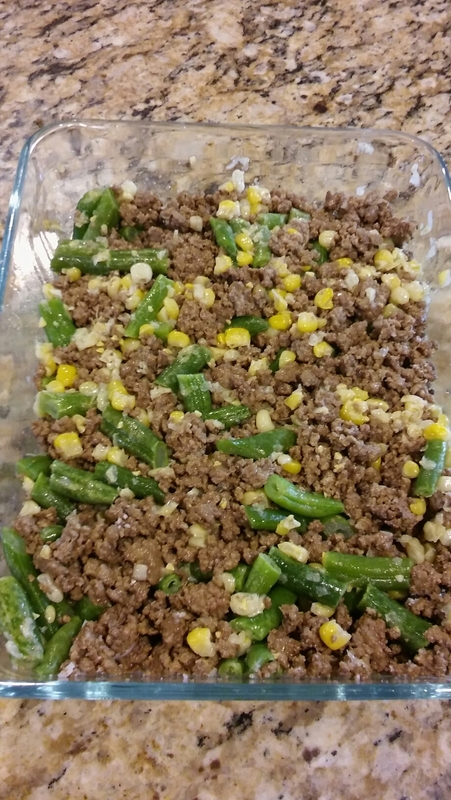 In a large bowl mix the leftover hamburger, peas, corn and green beans. Once well mixed, spread them into the bottom of a 9 x 9 baking pan. Place a few small slivers of butter on top of this mixture. 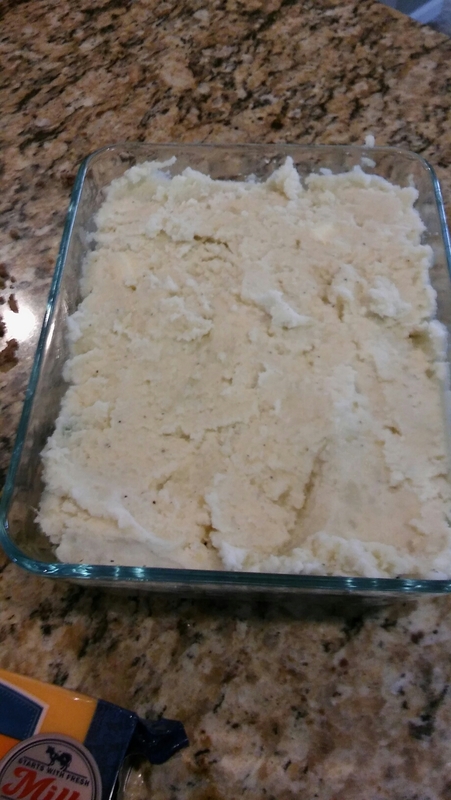 Next, take your leftover mashed potatoes and layer them on top of the meat and veggie mixture. Using a fork smash them gently on the top so that they are able to lock in the moisture from the layer below. Cover the pan with aluminum foil and bake for about 30-40 minutes or until all the contents are piping hot. 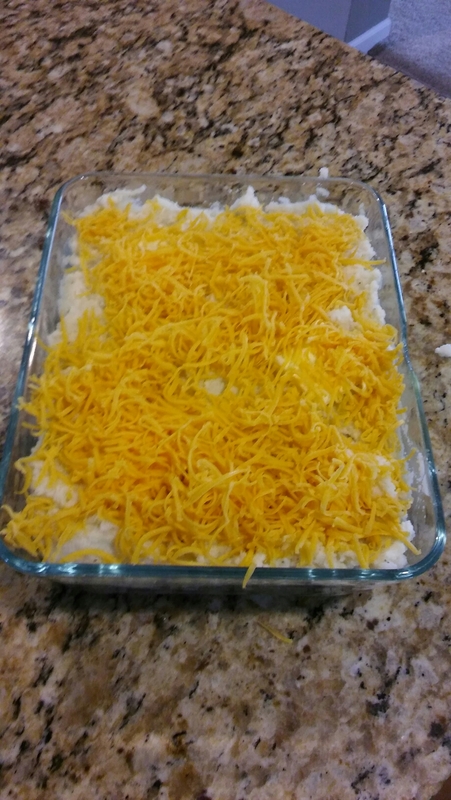 Add some shredded cheese if you have it. Once everything is heated through you can either go ahead and eat it or try this. Remove the foil and bake for another ten minutes until the tops of the potatoes become golden brown and slightly crispy. Remove and enjoy. This dish too heats up very well for a lunch the next day. Cost for this meal is about $1.25 per person, based on an individual eating about a cup and a half of finished product. Prices may vary based on location of products.